Interested in trying a non-fiction read, I suggest bestselling author, Erik Larson. His narrative nonfiction vividly tells very compelling stories and reads like fiction. Larson writes at a suspenseful pace, turns key figures into fascinating characters and makes history to gripping thriller. Two men, each handsome and unusually adept at his work, embodied an element of the great dynamic that characterized America’s rush toward the twentieth century. Daniel Hudson Burnham, a renowned architect, was the brilliant director of works for the 1893 Chicago World’s Fair. Henry H. Holmes, a young doctor, was the satanic murderer of scores of young women in a torture palace built for the purpose near the fairgrounds. Burnham overcame great obstacles to build his White City; Holmes used the attraction to lure women to their deaths. September 8, 1900, began innocently in the seaside town of Galveston, Texas. Even Isaac Cline, resident meteorologist for the U.S. Weather Bureau, failed to grasp the true meaning of the strange deep-sea swells and peculiar winds that greeted the city that morning. Mere hours later, Galveston found itself submerged by a monster hurricane that completely destroyed the town and killed over 6,000 people in what remains the greatest natural disaster in American history-and Isaac Cline found himself the victim of a devastating personal tragedy. Using Cline’s own telegrams, letters, and reports, the testimony of scores of survivors, and our latest understanding of the science of hurricanes, Erik Larson builds a chronicle of one man’s heroic struggle and fatal miscalculation in the face of a storm of unimaginable magnitude. Thrilling, powerful, and unrelentingly suspenseful, Isaac’s Storm is the story of what can happen when human arrogance meets the uncontrollable force of nature. Tells the interwoven stories of two men–Hawley Crippen, a very unlikely murderer, and Guglielmo Marconi, the obsessive creator of a seemingly supernatural means of communication–whose lives intersect during one of the greatest criminal chases of all time. Set in Edwardian London, an era of séances, science, and fog, and on the stormy coasts of Cornwall, Cape Cod, and Nova Scotia, Thunderstruck evokes the dynamism of those years when great shipping companies competed to build the biggest, fastest ocean liners, scientific advances dazzled the public with visions of a world transformed, and the rich outdid one another with ostentatious displays of wealth. Against this background, Marconi races against incredible odds and relentless skepticism to perfect his invention: the wireless, a prime catalyst for the emergence of the world we know today. Meanwhile, Crippen, “the kindest of men,” nearly commits the perfect crime. A remarkable story set during Hitler’s rise to power. The time is 1933, the place, Berlin, when William E. Dodd becomes America’s first ambassador to Hitler’s Germany in a year that proved to be a turning point in history. Gives the reader a true sense of how Hitler and Nazism were able to survive before the world know their true nature. Throughout the early days and months of 1861 the Southern States had been seceding from the Union. But it was on April 12, 1861 that the country fell into Civil War. On that day, Confederate troops fired on Fort Sumter in Charleston Harbor. 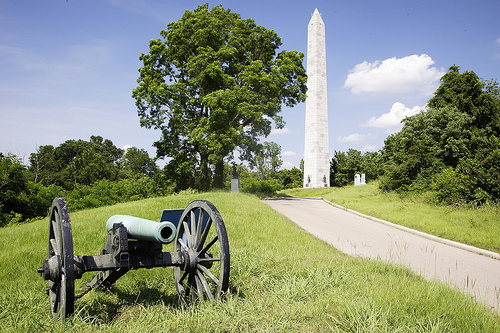 This year we commemorate the Sesquicentennial of the Civil War. The National Parks Service offers timelines, events at national parks and a database of the names of more than 6 million servicemen who fought on both sides in the war. The NPS site even has a fictional reporter named Beglan O’Brien relating day-by-day accounts of the war. If you are interested in the causes of the war check out Apostles of Disunion by Charles Dew, Allegiance: Fort Sumter, Charleston and the Beginning of the Civil War by David Detzer, Lincoln President-elect: Abraham Lincoln and the Great Secession Winter by Harold Holzer, Why the Civil War Came edited by Gabor Boritt, Year of Meteors: Stephen Douglas, Abraham Lincoln, and the Election That Brought On the Civil War by Douglas R. Egerton. One of the great conversation starter questions has always been “Read any good books lately?” R & R decided to ask the Syosset library staff about the books they are reading right now. Below are some of the answers to that question. Whether the books turned out to be good or not, well, you’ll have to ask the readers when you see them around the library. “First, the unthinkable: a security breach at a secret U.S. government facility unleashes the monstrous product of a chilling military experiment. Then, the unspeakable: a night of chaos and carnage gives way to sunrise on a nation, and ultimately a world, forever altered. All that remains for the stunned survivors is the long fight ahead and a future ruled by fear—of darkness, of death, of a fate far worse.”- from the publisher. “Emily and Jessamine Bach are opposites in every way: Twenty-eight-year-old Emily is the CEO of Veritech, twenty-three-year-old Jess is an environmental activist and graduate student in philosophy. Pragmatic Emily is making a fortune in Silicon Valley, romantic Jess works in an antiquarian bookstore. Emily’s boyfriend, Jonathan, is fantastically successful. Jess’s boyfriends, not so much. When Emily confides her company’s new secret project to Jonathan as a proof of her love, the stage is set for issues of loyalty and trust, greed, and the allure of power.” – from the publisher. “Jane Howard is a professor in Boston, in love with a brilliant, erratic man named Theo, and she becomes pregnant. Motherhood turns out to be a great welcome surprise–but when a devastating turn of events tears her existence apart she has no choice but to flee all she knows and leave the world. The disappearance of a young girl pulls her back from the edge and into an obsessive search for some sort of personal redemption. ” from the SPL catalog. “K2—the world’s second-highest mountain,has lured serious climbers for decades. In 2008, near the end of a brief climbing season cut even shorter by bad weather, no fewer than ten international teams—some experienced, others less prepared—crowded the mountain’s dangerous slopes with their Sherpas and porters, waiting to ascend. Finally, on August 1, they were able to set off. But hindered by poor judgment, lack of equipment, and overcrowded conditions, the last group did not summit until nearly 8 p.m., hours later than planned. Then disaster struck …” (from the publisher).